A weak second quarter will give way to a much stronger end to the year for Canada’s economy according to the latest RBC Economics Outlook report. The Royal Bank of Canada has forecast a growth rate of 1.4%for the year, as a 1 %decline in Q2 has lowered expectations for the economy. The wildfires in Alberta are a major factor in the downcast projection for the second quarter, but the rebuilding efforts now taking place should add impetus for growth in the remainder of 2016. Following the release of the report, Craig Wright, senior vice-president and chief economist at RBC revealed the major factors that governed the bank’s decreased growth projection. "This erratic roller coaster of economic activity means the Canadian economy is headed for another year of moderate growth," he said. "Canadian consumers are propelling the domestic economy, with auto and home sales at record or near-record levels, and at this point their debt loads appear to be manageable." The increase in exports is timely, and means RBC is confident of third-quarter real GDP growth of 4.0%, which will slow to 2.1% in the fourth quarter. Optimism is tempered in the oil producing provinces of Alberta, Saskatchewan and Newfoundland and Labrador, however. The oil shock and resulting job losses in those areas has reduced consumer sentiment considerably. 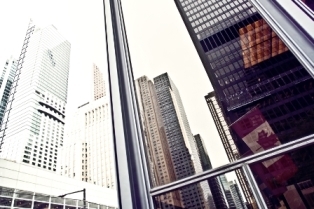 For Canada as a whole, the lack of capital spending by private businesses is also troubling. "It's no surprise that energy companies continue to cut back, but a recent Statistics Canada survey on capital expenditures showed that companies outside the energy industry also plan to invest less this year, and that's cause for concern," said Wright. With the price of crude hovering around the $50/barrel level currently, RBC Economics has predicted further gains throughout the rest of the year and into 2017. Considering the fact that the loonies’ performance is tied heavily to the fortunes of oil, this should mean an increase in the value of the Canadian dollar. According to RBC, this will likely mean an increase in the key rate by the Bank of Canada sometime next year.